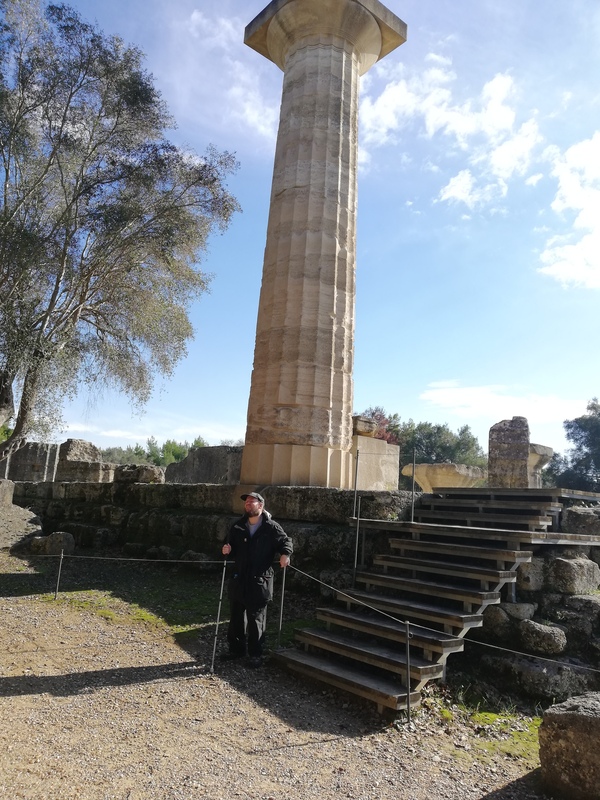 Tony below a large Doric stone column. 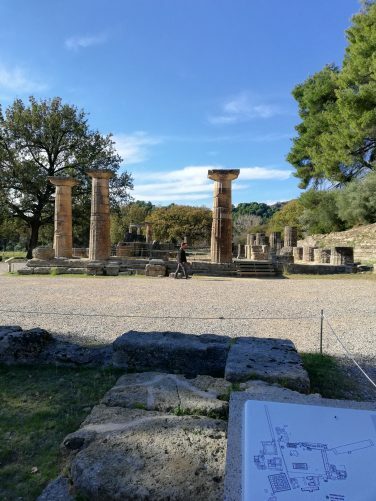 Above here is the location where the Olympic flame is lit before it takes its journey around the world to the Olympic Games in question. It has been lit here in modern times since the 1936 games in Berlin, Germany. 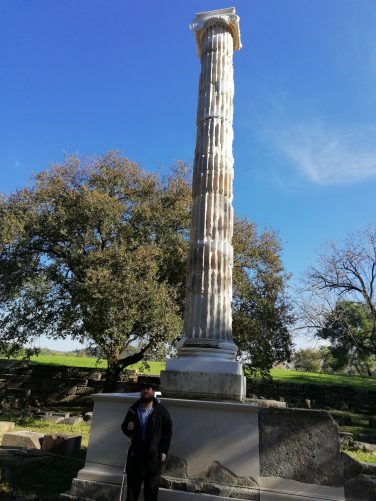 Tony in front of another more slender Ionic column. The base pedestal of the column, including a restored inscription in Greek. A sunken walkway lined with stone walls. 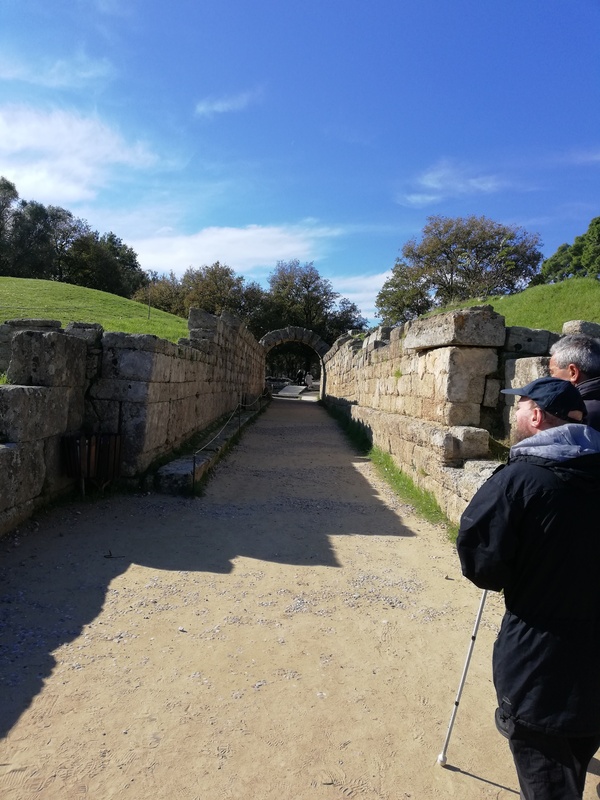 This leads from the ancient Olympic Stadium. View towards the Temple of Hera. 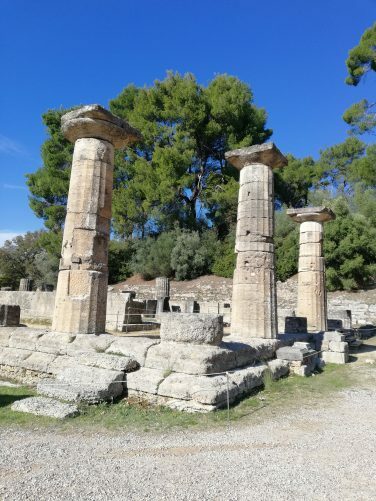 Closer view of the Temple of Hera. In view are three restored columns on a stone platform. 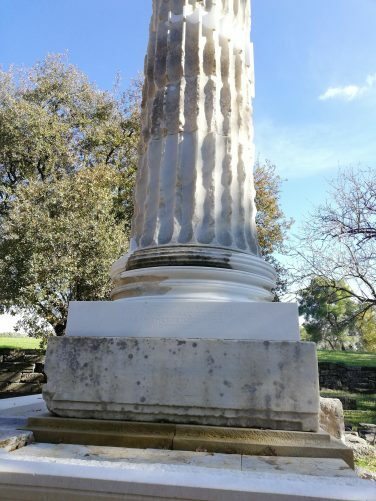 The bases of other columns also survive. 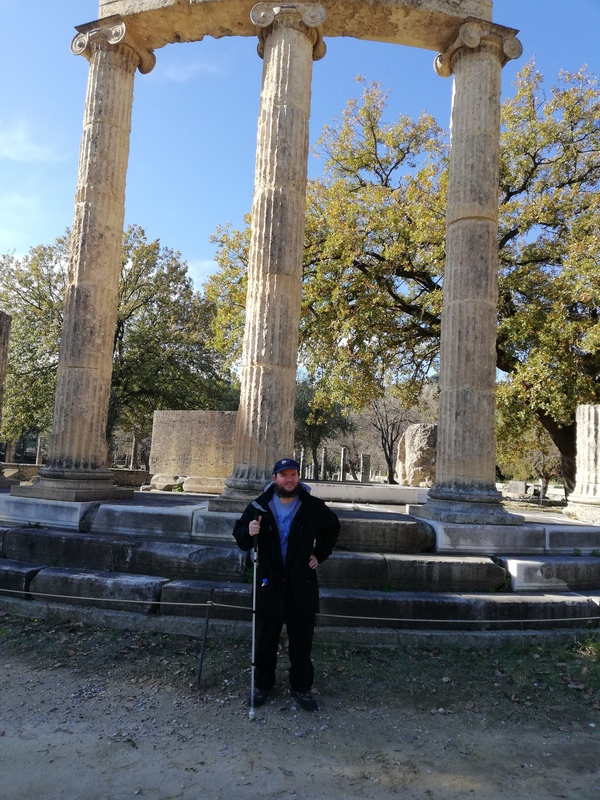 The temple was dedicated to Hera, queen of the Greek Gods. It was built in approximately 590 BC, but was destroyed by an earthquake in the early 4th century AD. 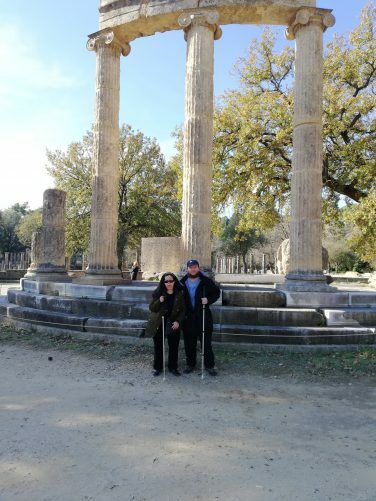 Tatiana and Tony in front of a colonnade made up of three reconstructed stone columns. This is part of the Philippeion, a circular monument which was commissioned by Philip II of Macedon in celebration of his victory at the battle of Chaeronea in 338 BC. The outer colonnade originally comprised of 18 columns. 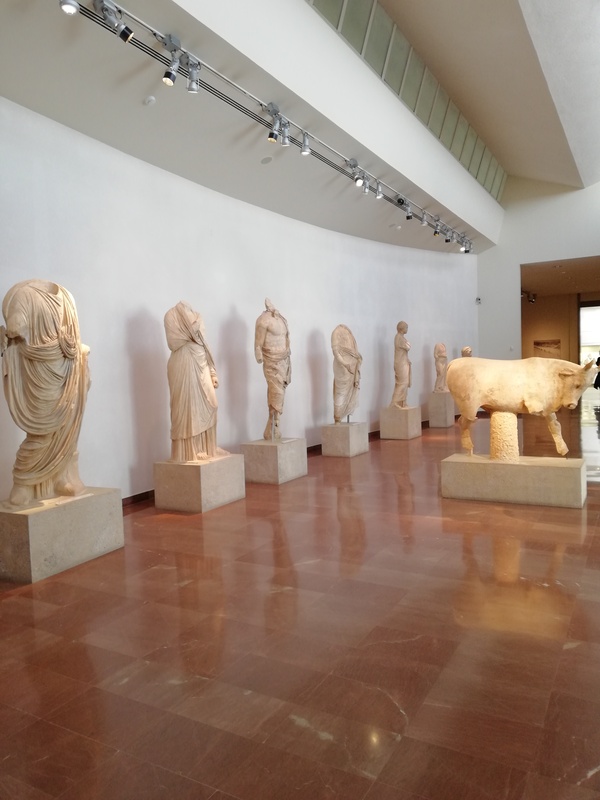 A collection of statues from the Nymphaeum of Herodes Atticus at Olympia. They include a marble bull and a row of human figures. 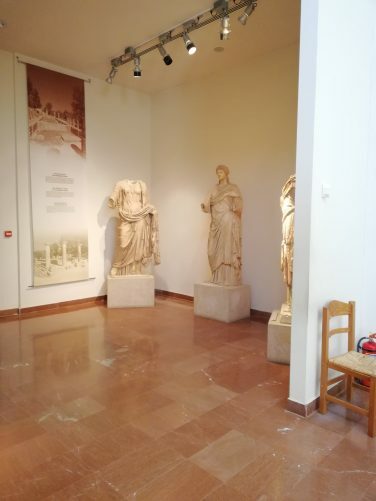 Three statues of human figures in a recess. Information on the wall behind indicates these are from the Temple of Hera during the Roman Period. 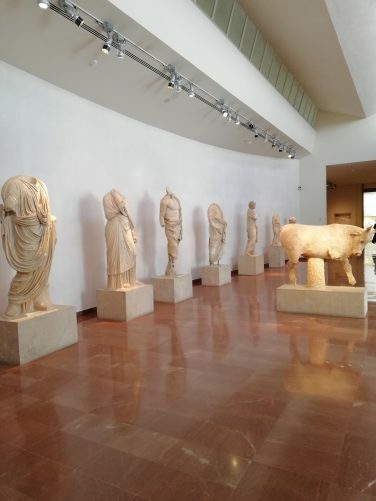 Taken inside the Archaeology Museum at Ancient Olympia. 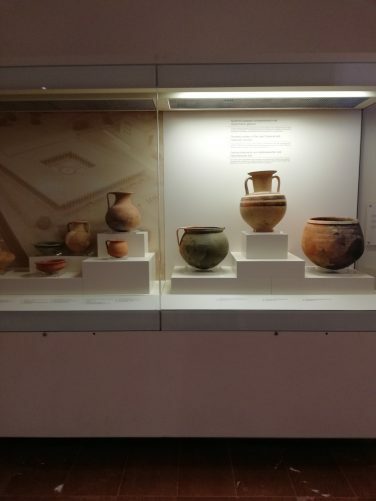 A collection of pots in a display case. They are domestic pottery from the Late Classical and Hellenistic periods. 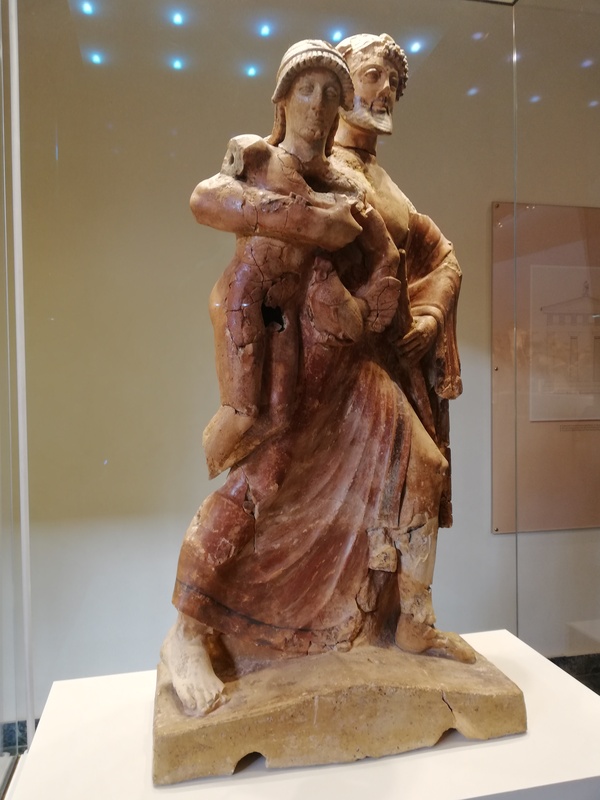 An ancient Greek sculpture of Hermes and the Infant Dionysos. 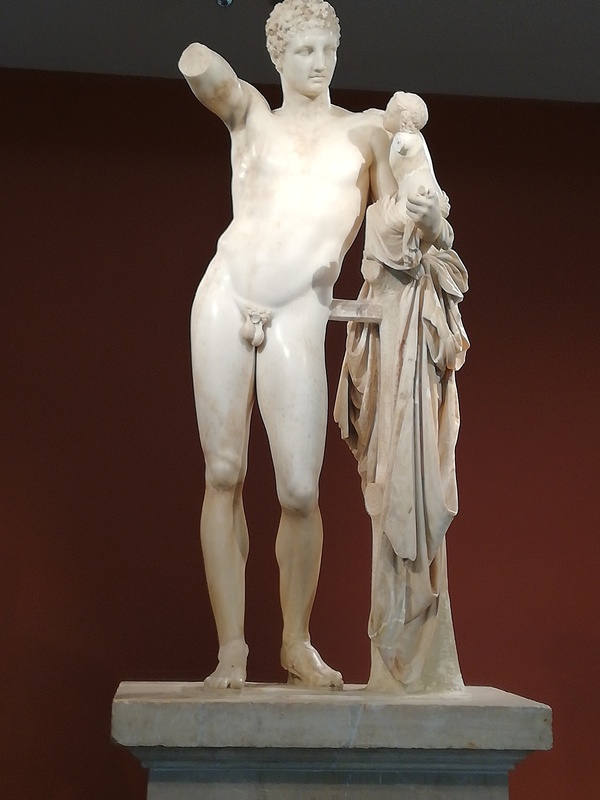 It is also known as the Hermes of Praxiteles or the Hermes of Olympia. Discovered in 1877 in the ruins of the Temple of Hera, Olympia, Greece. It is traditionally attributed to the sculptor Praxiteles and dated to the 4th century BC. 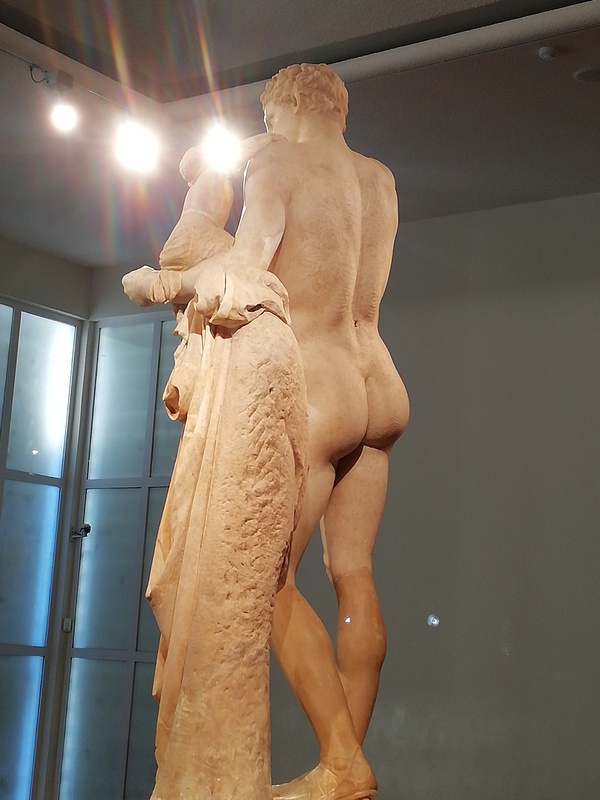 Rear view of Hermes and the Infant Dionysos. 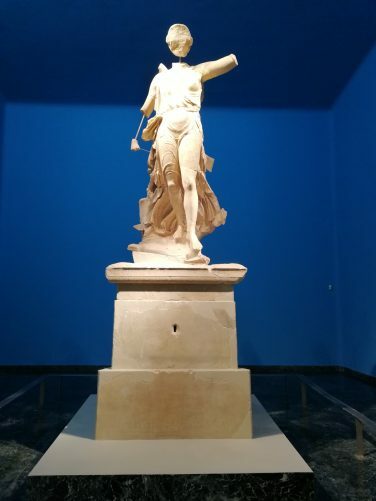 Marble statue of the Greek goddess of victory, Nike, standing on a pedestal. Carved by the sculptor Paionios in 425–420 BC. 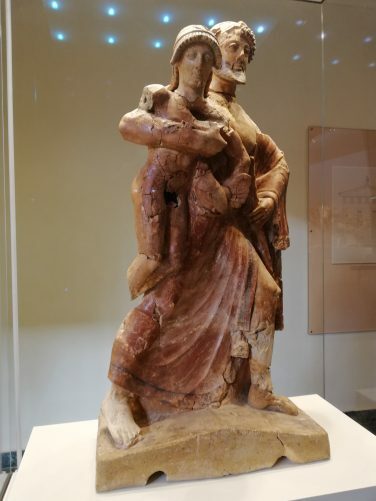 Late Archaic terracotta statue of Zeus carrying Ganymede. 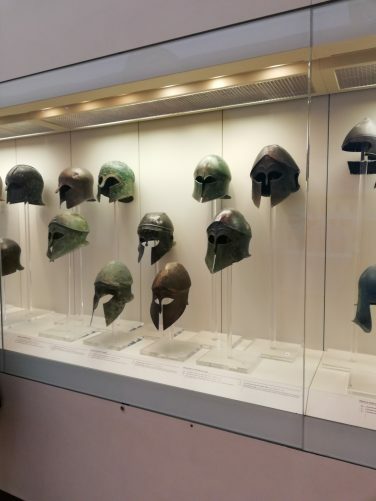 A collection of Corinthian style bronze helmets in a display case.